Alice Derry has an M.F.A. is from Goddard College (now Warren Wilson). She is Professor Emerita at Peninsula College, Port Angeles, where she directed the Foothills Writers Series for three decades. In 2013, she helped plan the 75th Raymond Carver Birthday Celebration and delivered its keynote address; in 2017, she was Peninsula College’s 17th Writer in Residence. 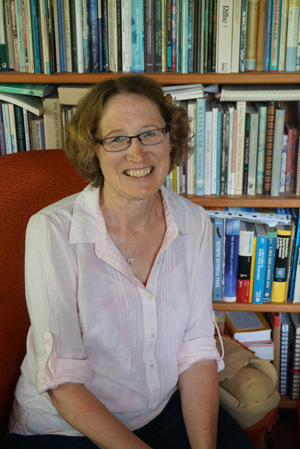 With colleague Kate Reavey, she has also facilitated writing workshops for area tribes. She lives and works on Washington’s Olympic Peninsula. 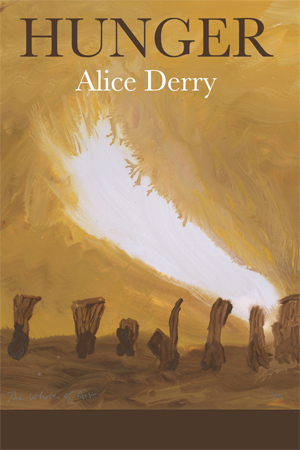 Hunger is Alice Derry’s fifth full collection of poetry. Tess Gallagher writes of Alice's fourth book Tremolo (Red Hen, 2012): “Tremolo is a tour de force of vibratory power that marks Alice Derry as having come into her own as one of our very best poets.” Strangers to Their Courage (Louisiana State University Press, 2001), was a finalist for the 2002 Washington Book Award. Li-Young Lee writes of Strangers: “This book . . . asks us to surrender our simplistic ideas about race and prejudice, memory and forgetfulness, and begin to uncover a new paradigm for ‘human.’” Stages of Twilight (Breitenbush, 1986), won the King County Publication Award, chosen by Raymond Carver. Clearwater appeared from Blue Begonia Press in 1997. Derry has three chapbooks: Getting Used to the Body (Sagittarius Press, 1989), Not As You Once Imagined (Trask House, 1993), and translations from the German poet Rainer Rilke (Pleasure Boat Studio, 2002). Read a review of Hunger by Diane Urbani De La Paz in The Peninsula Daily News. Alice will be at the MoonPath Press group reading at Open Books, Seattle, WA. Saturday, November 3rd from 7:00pm - 8:30pm. wild’s touch you’ve waited for. dart onto as many raisins as they can carry. Then the birds whirr away—themselves light. but not yet dusk’s steel violet. alchemized green, you—allowed to watch.